As part of the summer maintenance, we surveyed the LBA heights. One of the concerns was that the freeze/thaw cycle in the soil and gravel that supports the LBA would cause subsidence or a minor 'palsen' effect which in turn would distort the array field. 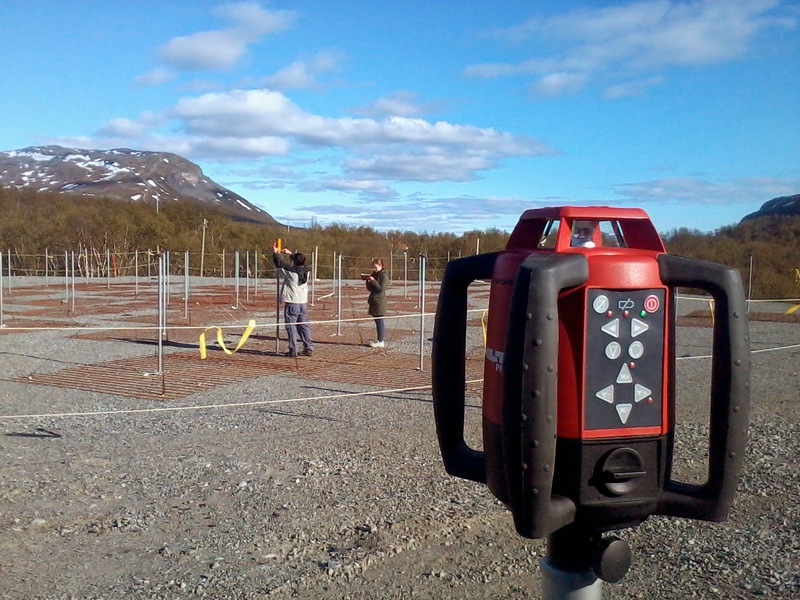 To carry out this test, we used a laser level and investigated the relative heights of the different aerials. This task was carried out by some of our summer workers.